Did you catch the news this week? Apple iTunes seems to have worked out its differences with the Beatles and is now offering The Beatles record catalog for downloads. It's been a long time in coming, but this is an amazing example of how people have a way of ironing out their differences when there is several million dollars at stake. All cynicism aside, it's quite a newsworthy event. 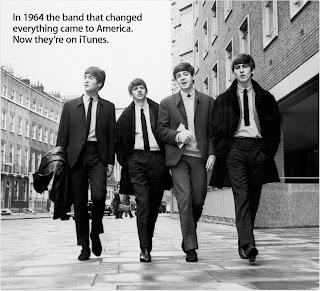 And if you are any kind of fan of The Beatles at all, you'll want to see some of the video Apple is making available as a part of their promotion. Of particular note is a film of The Beatles' first US concert, presented in its entirety. 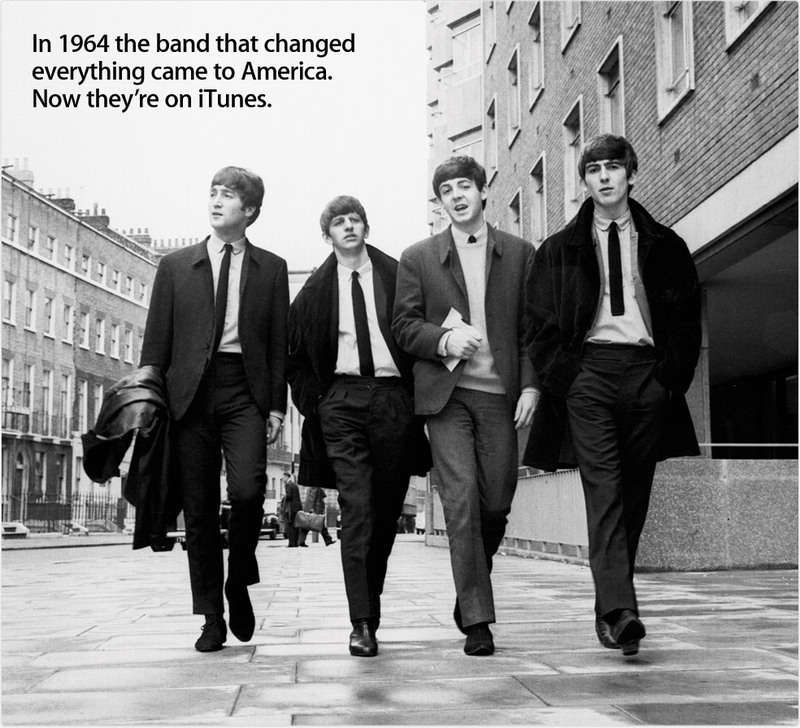 The concert was given two days after the boys' historic appearance on the Ed Sullivan Show in February of 1964, and took place in Washington, D.C. Even though the concert was a sell out, it was in front of an audience of only 7,000. That's paltry by today's standards. And some of the technology involved in staging the show was laughably low tech, as you will see when you view the footage. Go see it by logging into the apple.com web site or the iTunes store. See it now, as it probably won't be up forever. If you are fortunate enough to be under 55 years old, you probably don't remember the hysteria that accompanied The Beatles' first US tour. I do remember it, and it was unbelievable. There was nothing to compare it to, before or since. No one else in show business ever created such a buzz. Not Elvis. Not Sinatra. Not any of the pop stars to come along since, blond or otherwise. I was just a teenager then, and I remember that not a day went by without a front page story on The Beatles in the San Francisco Chronicle. It was all anyone could talk about. It was reported that during that hour of the Ed Sullivan Show, not a single crime was committed in all of New York City. And this was all before anyone knew The Beatles were good. Or at least we had no idea how good they were to become. But they kept on proving themselves, reinventing themselves, and then burning out, almost as rapidly as they came on the scene. If you are over 75, you probably didn't care for them when they hit the scene. I know my parents didn't nor did any "old people." (Def. : anyone over 30). That hair. They don't even sing in tune. Too loud. They (the old folks) were proven wrong ultimately. We young uns, 11 to about 18, had it right. How did we know? How did we create Beatlemania, and how did we get the media to blow it completely out of proportion? I don't know. But I don't think we'll ever see anything like it again. But now at least we get to relive those heady days of Beatlemania. Enjoy the downloads. I know you will. Even if you're under 55. Even if you're over 75. P.S. Feel free to comment and/or leave your own remembrances below. I'd love to read them.